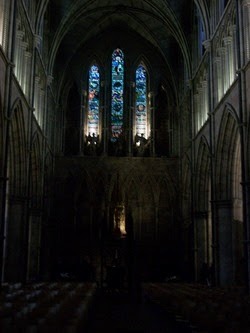 Southwark Cathedral is in the bankside of London and is London's oldest Gothic churches. If you have a London Pass, you will get a free guide book to help guide you on your visit there. This is one of only three surviving churches of the great monasteries from the reformation. It was given Cathedral status in 1905.There are still remains of the Norman priory that was once here. John Harvard, founder of Harvard University, was baptised here. It has a memorial to William Shakespeare and his brother is buried here. If you love the architecture like I do, its a nice place to visit.